I have been really getting into my bright eyeshadows recently so when I saw this palette everywhere I knew that I wanted it. 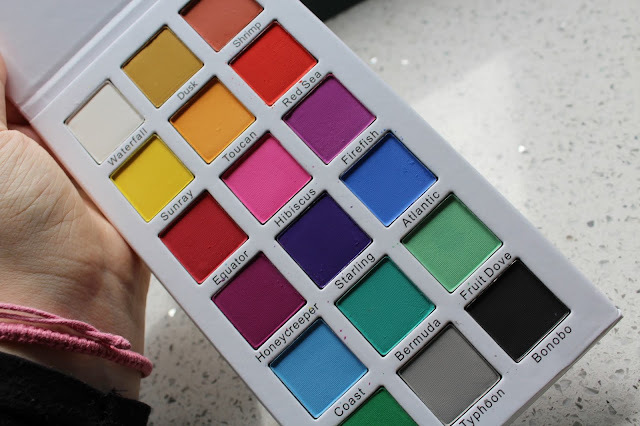 This palette contains 15 matte shades which pretty much cover all the colours on the spectrum. I was initially a little concerned about the lack of a peachy transition shade (not that I'm stuck in my ways or anything) however I've been really enjoying mixing up my transition shades a little. I have to say my favourite shades out of the palette are the two red shades - they are so beautiful and don't blend out into more of a pink shade like so many other red shadows do. These shadows all have such stunning pigmentation however it does mean there is quite a bit of fallout with them so it's definitely a palette to use before foundation. Comparing this to the NYX Ultimate brights palette - another bright palette I love it is definitely much more concentrated pigment wise so its amazing for super vibrant rainbow looks. 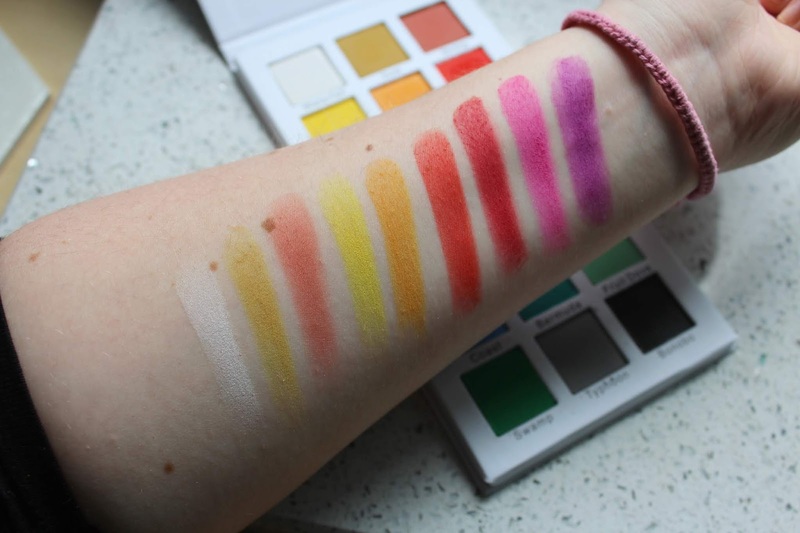 That being said the NYX palette is definitely slightly easier to work with and is one I'd perhaps suggest for people who are getting into rainbow shades. Whereas this certifeye palette definitely requires someone who loves a bold look and knows what they are doing with bright shadows. Packaging wise I love the design on the front but I do wish that it was in either plastic or a sturdier cardboard casing. I find it a little flimsy and although the magnets are really nice and strong I've found the packaging gets bashed about so easily. 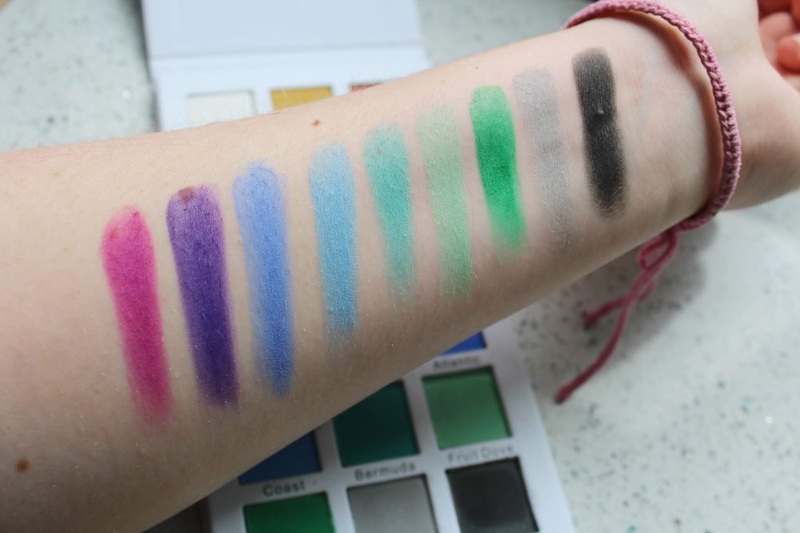 I do think these shadows need a primer to make them really pop and reduce any fading but for me this isn't an issue as I would never use shadow without primer underneath. The palette is fully vegan and cruelty free which is something I always like to hear, this leaves me even more impressed with the red shades as they don't contain any carmine. Overall I really really love this palette and I would definitely recommend it for anyone who is looking for a gorgeous rainbow palette. I'm very excited to give more palettes from Certifeye the new one they've just sneak peaked looks amazing. I am loving the colours in this palette, it looks incredible! Wow, the colours looks so vibrant and pigmented. The colours are SO bright! So pretty, although I don't think I'd be brave enough to wear them personally! 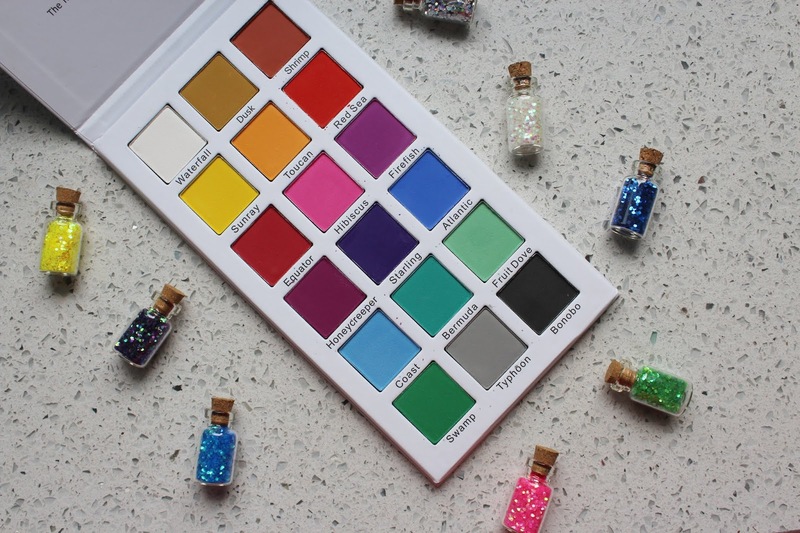 The level of pigmentation for such bright colours looks so good! Wow that is a bright and beautiful palette!